Laura Gould, RPh, managed the pharmacy at Bay Medical Center for many years until the hospital decided to close the facility. Laura knew her patients by name. She knew their stories, she knew their health histories, and she knew she wanted to continue serving them. 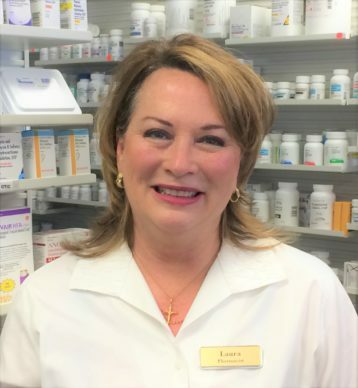 She saw the closing of the pharmacy as an opportunity to fulfill her lifelong dream of owning her own pharmacy. She met with a group of independent pharmacy owners, and, with their support, opened Rx Express Pharmacy of Panama City in September 2013. Laura became certified in Compounding by Medisca in 2013 and made compounding a facet of her new business. Laura and her team of techs and associates specialize in fast service and friendliness. The pharmacy offers great pricing, special orders, limited delivery, retail products and compounding. Rx Express is a Good Neighbor brand pharmacy, which means quality in generic brands which are 100% guaranteed as is any store brand of meter, medical equipment and vitamins. The name Good Neighbor Pharmacy reflects how the owners feel about their patients, customers and visitors. “We pride ourselves on getting to know each one of you, your families and your medical issues. We are your hometown pharmacy. We make everything personal. Your problems are our problems. Our No. 1 concern is making sure you are getting the correct help you need to help you live healthier,” Laura says. She is dedicated to adding staff to meet the demands of business in order to keep wait times to under 15 minutes. 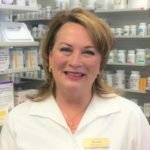 The Pharmacy also offers over the counter medications and first aid, vitamins, tupelo honey, medical supplies such as blood pressure monitors and diabetic supplies, and gift items including jewelry, scarves and candles. NEW TO RX EXPRESS is Nature’s Bounty Essential Oils and diffusers and Circle E Candles.